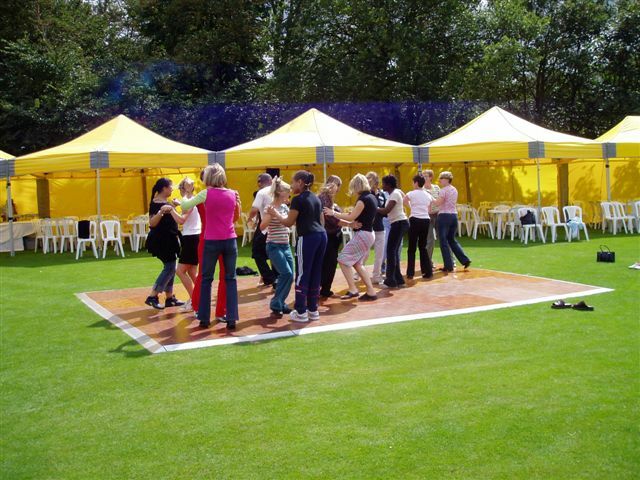 Dance Floor Hire UK can provide you with the very latest in outside dance floors for any event or function in the UK, London or Europe. 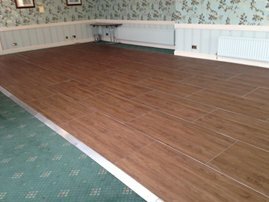 DanceFloorHireUK can now offer you the very latest in outside flooring and dance floor systems that are available for hire, sales and even long term rental. We were the first company in the UK with this purpose built outside dance floor, as you would expect from the United Kingdoms largest stockist of dance floor and flooring systems. These floors can be laid directly on to grass and most other surfaces, with a unique self-levelling system it can deal with surfaces that are not perfectly flat, or for example could go over a mixture of grass and patio areas. Do not let the weather spoil your event and book now and be one of the first to dance on these revolutionary type of dance floors. This any weather dance floor comes in three-foot square and 3ft by eighteen inch half sections and has a traditional oak wooden style finish. Please remember floors that are wet are going to be slippery. 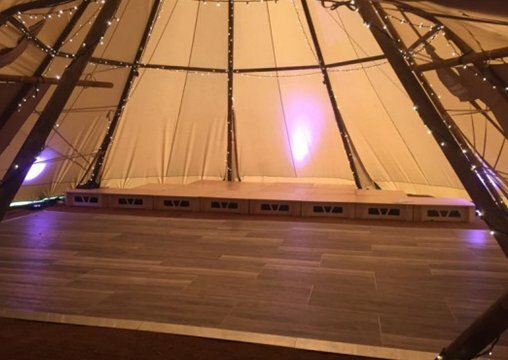 If you are looking for an outside dance floor or stage then look no further we can deliver and install outside dance floors and stages throughout the UK and Europe. Choose from Black, White, Led Funky night fever style retro, Black and White, Parquet, Raised dance floors and more. We can even provide you with a marquee, DJ, Generators, Outside lighting and lots more. Now new for this year moving with every advancement in the flooring industry we have taken delivery of the new ISOS floor which again has massively increased the quality of our outside flooring. The new flooring is of a very high standard and is set into a aluminium frame for extra strength, perfect for your outside event whatever the weather! As the quality of this product is so good we are even replacing our traditional wooden floors with it, best thing with it being in the same 2ft squares as our other floors allows you to combine the different floor types. 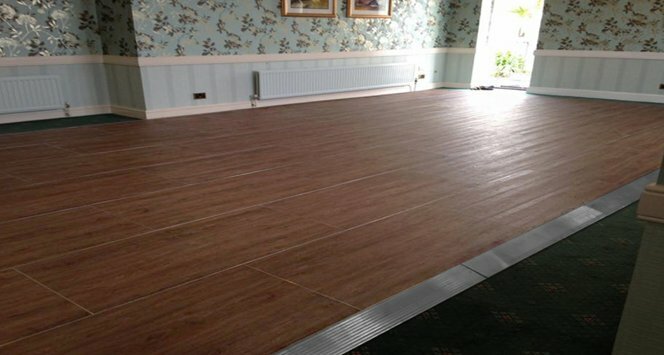 All of our outside dance floors are of top quality and will be delivered and fitted by our highly trained engineers at the venue of your choice.